What are you doing about office security? I’m not talking computer security or network security (though those are certainly important!). I’m talking people-walking-into-your-office-and-taking-stuff security. Many companies today aren’t doing enough about security, particularly companies with open office plans, where employees change locations often and work with laptops. 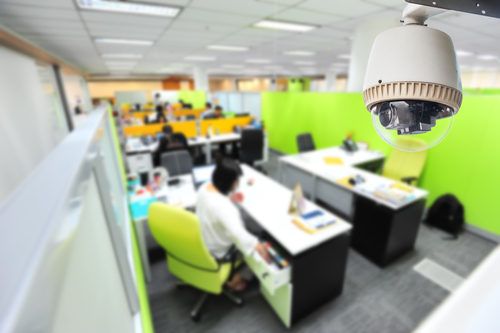 Alarm systems and security cameras may be great for after hours, but what about from 9 to 5? Some companies use keycards and employee ID badges, but, as this article in Co.Design says, “in reality those measures can be easily circumvented by a single employee holding the door open for a stranger.” So, what can you do? You can implement a visitor management policy supported by a visitor management system. A visitor management policy is a policy that clearly states who is allowed to visit your office and what rules they must abide by when there. Here is an example of a visitor management policy from About.com’s Business Security blog. As you can see, an effective visitor management policy includes visitor identification and tracking via a visitor management system. Here are six visitor management system features that enhance the security of your office. 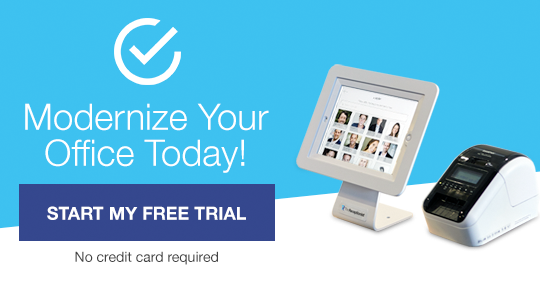 Your employees have ID cards or badges, and your visitors should too. A visitor management system can take a photo of every visitor to your office and instantly print a badge with that photo, the name of the person they are visiting, and the date their visitor pass expires. That way, you can ensure that everyone wandering your halls is supposed to be there. You have the option to capture a person’s signature to be stored digitally in the system, which gives you an additional way to verify your visitors’ identity. A handwritten visitor log can be impossible to read. Even worse, the information might not be correct. With a visitor management system, you have a digital log of everyone who was in your office and how long they were there. If a problem arises, you can refer to this information and check it against other records, such as a security camera tape. With a paper visitor sign-in sheet, everyone who comes to your office can see the name of and information about everyone who comes to your office. At best, this is an invasion of privacy. At worst, it leaves you open to people stealing that information to use for nefarious purposes. With a visitor management system, only you know who goes in and out of your office on a daily basis. Sometimes the person a visitor comes to see might not be in the office. Rather than leaving that visitor unattended, you can set up message forwarding so that another employee is alerted. Some companies are required by the International Traffic in Arms Regulations (ITAR) to verify whether guests are U.S. citizens. This information is then conveyed in the notification messages and stored in the visitor log for future reference. A visitor management system doesn’t replace your alarm system, security cameras, or employee keycards, but it can significantly reduce your risk of outsiders gaining unauthorized access to your premises, your equipment, and your information.